Gone fishing open thread | Watts Up With That? I’m out on Tampa Bay fishing with Ed. You’ll have to fend for yourselves. Feel free to discuss anything within our normal bounds. Fish stories to follow later. November 11, 2014 in Open Thread. My friend Bill Laing sent us a photo from London recently of the Field of Poppies at the Tower of London. Below is an article and video of that scene. My great-uncle Thomas R. Sample was one of them. A bank clerk from Vankleek Hill, Ontario, 18 years of age, and the youngest brother of my grandmother Barbara Jane Sample, he enlisted as a Private in 1914 and fought through WW1 with the 2nd Canadian Infantry Battalion, East Ontario Regiment, 1st Canadian Infantry Brigade. He almost made it. 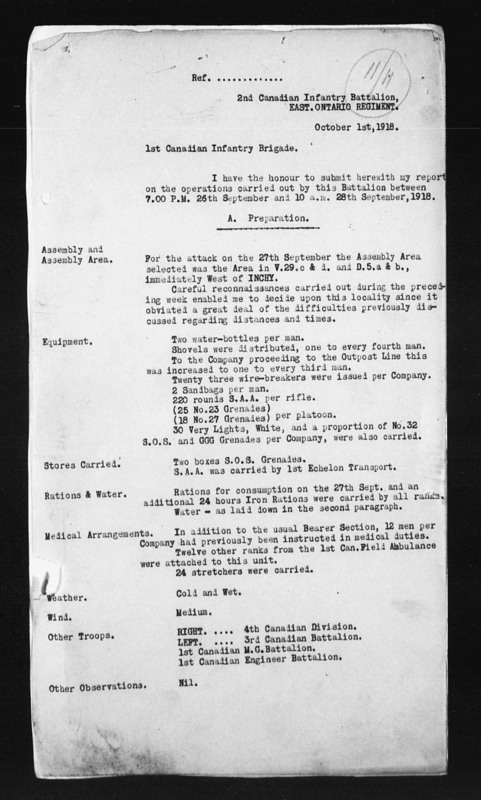 However, on September 29, 1918, just six weeks before the Armistice, Lieutenant Thomas R. Sample was killed in action during a major offensive east of Inchy, France. He is buried at Bucquoy Road Cemetery, Pas de Calais, France. My father, just five years old at the time, remembered that his mother cried all night long when the sad news came. Regards to all on Remembrance Day. Some of those in the Old Country like to think of Canadians as loyal colonials, with the Americans being not so loyal. Anyhow, it is November 11th, a day when we should all be having at least some quiet thoughts about the great sacrifices of all those that made it possible for us to be here today. Of course–who in their right mind would want to live under taxation without representation? I do. But I have no choice. I’m a brit in an EU country. I am not allowed to vote for my host government and after 15yrs away from my native country I can’t vote there either. Hence I live in a tyranny called the EUSSR. Come to the U.S.; anyone can vote here. There seem to be no restrictions whatever. Your eligibility is not an issue. Come to think of it, you can just stay there and vote absentee, no need to travel. The whole world can vote in U.S. elections! — they vote our tax $$$ into their favorite causes. What could be better? @ D. B. Stealey — LOL. You can even vote twice! Or if you are DEAD! So, add a codicil to your will that your personal representative will cast your vote (name of party) in every election in perpetuity!! Chicago and Seattle would each be good places to register. Just pick one. Meh. Register in both!! Wait a minute…. forget all that. All the above only applies if you vote for what the Big Government Party (a.k.a. Democrats) wants. You’ll (assuming you do not want more government-run this or government-run that) have to stand in line for about 10 years to get your citizenship before you are free to vote for liberty over here. Sigh. Take care, over there — and mispronounce French words ON PURPOSE (just — for — fun, heh, heh). And when they give you the ol’ wide-eyed, chin-pulled-up, sneer — just chuckle. The French take themselves too seriously (NOT everyone, no, not everyone, just a cultural trend, a trend…). The British Crown and government were rather dysfunctional in 1776 – one cannot blame the Americans for rebelling, what with the odious tea tax and all that. Well watch it there Dave, not everybody can vote. You have to be either a US citizen or an illegal alien. I’m neither of those, so I cannot vote (on election day). But I voted with my feet (still sore) this morning; just got back in fact from the Cupertino, California Veteran’s Day (Armistice Day) service at the Memorial Park in Cupertino. No I’m not a veteran either; history of asthma. But that is why I go there every year to honor those who are veterans. And I was given my first American flag this morning; just a small one, but it’s real. Yes I AM one of those. And I’m old enough to remember when the United States Navy was the only thing standing between my arse, and the empire of the rising sun. Thank you again; we will never forget. PS The Cupertino Memorial Park is built around the ill fated Operation Red Wing, in Afghanistan, that led to the book, and movie, “Lone Survivor”. Matthew Axelson, was one of the four Navy Seals killed in that operation. He was a Cupertino Native, and his family sponsored the start of this memorial. It is an astonishing place. Visit it, if you are ever in Silicon Valley. If I’d known you would be there, I would have come, too. 888,246 blooms – The display serves as an eloquent reminder of the significance of numbers. Numbers are otherwise lifeless. I see that “red weed”, as it was sometimes known, was the first to bloom out of disturbed soil. Across battlefields in Flanders it was ubiquitous. Thanks for the post. It does not really matter which side the very young men who died in WW1 fought upon. It was a tragedy for all. It was the madness of politicians which killed millions. Remember that. Those who fought in WWI are to be thanked, just as much as those who fought in WWII, for averting Weltmacht, a Germany-dominated Europe. Another reason to get out of the EU. Thank you for sharing. Your eloquently written account of one family’s paying the “ultimate sacrifice” for freedom brought tears to my eyes for a man who died (and for his family) almost one hundred years ago. Yes, indeed, today, and every day, we remember… . Freedom comes at a very dear price. While the video is mostly about Americans (I apologize for that, dear Allies), it captures the essence of ALL of the warriors for truth in all the wars that have been fought to rescue some part of the world from tyranny. when the politicians, the media, and the public don’t betray you. P.S. @ All Enemies of Freedom: Listen up. America (and the Free World) lives. Those who love Liberty far outnumber those who serve tyranny. of friends, of family…. WAS NOT IN VAIN. We will outlast the socialists who would steal that freedom. 1. Refresh this web page. 2. Move cursor over left end of red Play progress line just beneath video in its control window in comment above until you see a white circle and the cursor becomes a little hand. 3. Hold down left “click” button on “mouse” while simultaneously using mouse or finger on mouse pad to move that white dot (i.e., “pull” the red line) to the right, past the frame where the Error of “!” appeared. 4. Click on the Play arrow (bottom left of control window for video). What is really sad is that we have lost the vast majority of the freedoms our forefathers fought for. Thank you for sharing that. What a moving painted allegory. Truth with no words, the ultimate eloquence. Freedom’s terrible price. Allan: May be too late for the Brits. Too many Muslims already and more being born every day. But, slightly over one-half of them are girls…. and they don’t let them do a whole lot, so… HANG IN THERE, ALL TRUE LIBERTY-LOVING BRITISH (of any race or creed)! That v1le philosophy styling itself a rel1gion has some delightfully self-defeating tenets. while the other mostly creates stagnation and stench, resulting in mostly just bacteria and tadpoles and death. So if you don’t like it, evangelise. These people are obviously not endorsed by this website (like many of the views in the comments) but they are worth supporting, in my opinion. The Columbia River in Oregon and Washington does not flow freely. It is a series of lakes formed by dams, except for the Hanford Reach, but even the flow through that stretch is controlled by impounding or releasing water through the dams above it. Same is true for much of its main tributary, the Snake. Janice Moore, still out to get me it seems. Don’t worry. Once again this Socialist will turn the other cheek. If a man presents me with a dirty cartoon/joke of Jesus and asks for comment, I say: I have none and what you have done is now between you and Him as He does not need my protection. However would the “typical” Islamic react in immediate anger or in support of violence against the perpetrator if the cartoon was of Mohammad? If Western Islamic groups and individuals would routinely and energetically denounce Fatwas and other violent incitement that we have seen occur then I might have more belief in their humility. Until they begin supporting that stance then I’m with Janice. BFL, as a Methodist I am an Arminian Christian. I truly believe that all can be saved – even those raised in another faith. Calvinists may say, with some evidence, that circumstances restrict the free will of Muslims. But that implies a Creator who is unjust or unloving. Willing to make people without any hope – forever denied the fruits of the Spirit. I have no evidence to counter you. But from a position of faith I still, respectfully, disagree. Sigh. Yes. The dams are how the otherwise freely flowing Columbia generates the power to…. .
Janice Moore, Open Thread so I shall say this. We shouldn’t be so cold to each other. We both want the God’s Kingdom to come, here and now. We both oppose the distortion of the scientific process that has led to cAGW; we oppose putting prejudice above the humility that leads to truth. We both stand against using fear as a motivation for building tomorrow. We do disagree on political issues, on how to organise society and let people achieve their best. We do disagree and that is OK; not everyone thinks exactly alike. Can we stop the needless passive/aggressive confrontation? Can we share our fraternity/sorority in Christ in such a way that our witness shows some agape – especially to the atheists here? Yes, we are not likely to meet at a political fundraiser but… I don’t think you are evil. Nor do I think your aims are evil. Do you truly believe the opposite of me? Jim, that’s an appalling piece of religious hate that has no place on this site and is a betrayal of everything our forefathers fought for, You should hang your head in shame. Anthony turns his back for one moment and the nasties crawl out of the woodwork. Our forefathers fought and died to stop regimes that classed people as a result of who they were, not how they acted or behaved, it’s looks like their sacrifices were wasted on you if you really believe what you post. Disclaimer: the following are just based on my observations of particular congregations and are NOT meant to implicate those religions in general. In my much younger days, I had Western religions as a minor hobby. By that I mean that I attended numerous different churches to see which ones might provide the best “fit” for me. One of the most interesting was a Baptist group served by an ex Vietnam sargeant. No one was allowed to talk or even whisper during the sermon as they would be under immediate threat of eviction (and I saw this occur once when two men in the 2nd front row were called out and thoroughly chastized). They were also heavily into “sinful” record and book burnings and incouraged teens to spy and report on others for things like attending R rated movies. Of the ~500 attending a full seating, all appeared to be fully compliant and would probably have made prime selection for the MKUltra program. The most experential were the Assemblies of God which (ala Kenneth Copeland) had a more hands on approach. These were also my favorite and their historical background is quite colorful (see Azusa Street Revival), although the Assemblies have toned it down a bit from the typically energized congregations of the Pentecostals. My wife is a Catholic, and everyone should attend, at least once, an X-Mas Midnight Mass. This was the most mysterious rite in my church experience, especially since my wife warned me that I, as a non-Catholic should not receive the Eucharist without risk to my soul (I have no idea if this is really true as opinion varies). The event also somewhat reminded me personnally of the movie versions of a witches mass just lacking the sacrifice (and I DON’T know who barrowed from whom). The most imminently practical are I suppose Catholicism where even a Mafia assassin can be absolved with Last Rites and some versions of Southern Baptist where one does’t even need last rites (as in “Once Saved Always Saved”). With many religions claiming that they are the one and only true path to the ever after, I do admit to being somewhat confused about my choices. After all if I pick the wrong one…..
BFL, the church exists, in theory, for those outside. ; the church doesn’t exist for the servants who belong. If any church acts more for its members needs or especially its leaders needs then it isn’t following the pattern of Christ crucified. I cannot be sure that Christianity is right but I have chosen to believe that the suffering God who shares mankind’s suffering despite not being fallen – that is right. I may be wrong but why live timidly? I don’t know which form of Christianity is right but I choose to believe that any which follows Jesus in serving other is not wrong. Faith is a choice. It is not unreasonable. No, it is not fully justified as it is based on personal axioms but nothing is completely rational in that sense. So I believe without trying to be judgemental. Jesus, who loved unconditionally and perfectly, yet said to Peter when Peter was out of line: “Get thee behind me, Sa-tan.” No, I do not think that you are simply “ev1l.” I know from observations, i.e., data, that socialism on an earth populated not by angels but by human beings creates poverty, disease, and death, i.e., far more misery than good, thus socialism is clearly ev1l. You are not, in my view, “ev1l.” I will not speculate as to your motives, even less, conclude what they are. If, however, it is your pride which prevents you from admitting the truth about socialism, then you are to be scorned. If, as I think you have stated, you base your belief in socialism on a twisted view of Scripture, you are to be soundly rebuked, but, again, not hated. There is “a time for everything,” Ecclesiastes 3:1-8, including a “time to hate.” There is a time to detest someone who willfully, stubbornly, promotes ideas that have caused and will cause so much harm to so many people. I can easily extend unqualified agape (love) toward the angry non-believer. He or she is blind and is like a snarling, frightened, wild animal who simply cannot behave otherwise. I cannot, on the other hand, extend unqualified agape to someone who knows the truth and willfully (or, at the very least, recklessly) ignores data and, much worse, twists God’s Word to back up her or his views. Finally, I am not “out to get” you. You sometimes take personally remarks I direct at all who promote socialism. It isn’t about you. It is about a philosophy that enslaves and ruins and kills. In God’s eyes, human beings are priceless treasures — he proved that about 2,000 years ago. God loves you, and, simply because you are a human being, so do I, in a qualified manner. God also tells us to “hate what is ev1l.” Thus, I hate soc1lism and thus, I scorn you for promoting it. I would like to believe…… that you are better than that…. .
P.S. This is not a topic which I wish to continue via personal written correspondence, so, please forgive me, but I will not be responding to your invitations to debate directed personally to me on this topic. In Seaford we have WW1 Canadian practice trenches by the golf course. 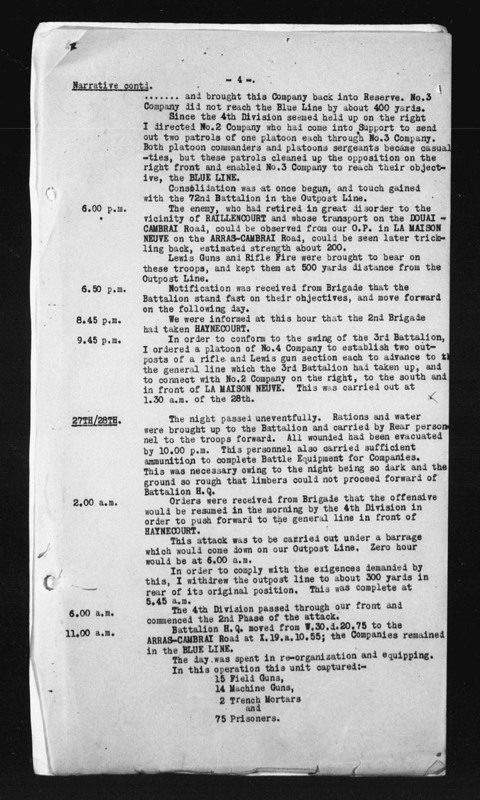 My son ploughed up a Canadian phosphorous bomb at Rottingdean, the army bod who came to blow it up said he was very lucky he didn’t crack the casing. A memorial stone has recently been put up at Exceat to commemorate some Canadians who set up camp there despite being told the Luftwaffe used the river valley as a signpost to London. Some humourist put up a sign saying Bongville at the disused Tide Mills railway station, I understand that was what the WW2 Canadians called the place. We have old Canadian connections hereabouts. BBC Video – 888,246 poppies. There is also a Field of Remembrance at St. Margaret’s Church beside Westminster Abbey. Since 1928 the churchyard has been the setting every November for the Field of Remembrance organised by the Royal British Legion Poppy Factory. The churchyard is divided into plots which are assigned to the military and civilian services. Relatives and old comrades are able to remember those who died in war by planting a poppy cross in the appropriate plot. IN the early 1990’s I was in London at this time of year, and very early on November 11th I wandered down to St. Margaret’s Church. It was still dark and cold and a light mist hugged the Thames. A Cockney gentleman was already there, preparing to sell his poppies and crosses and we talked for a long time – there was nobody else around. My new friend told me about his life and the people of East London. I remember asking about the Cockney dialect, the Pearly Kings and Queens and all that. I told him about my Uncle Donald Fraser MacRae’s retreat from Dieppe in 1942. 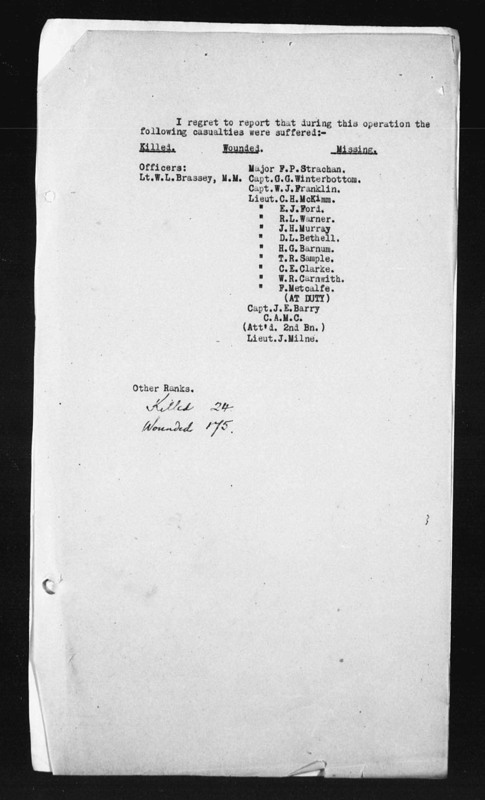 Fraser was seconded to the Essex Scottish Regiment of Windsor Ontario as Intelligence Officer. 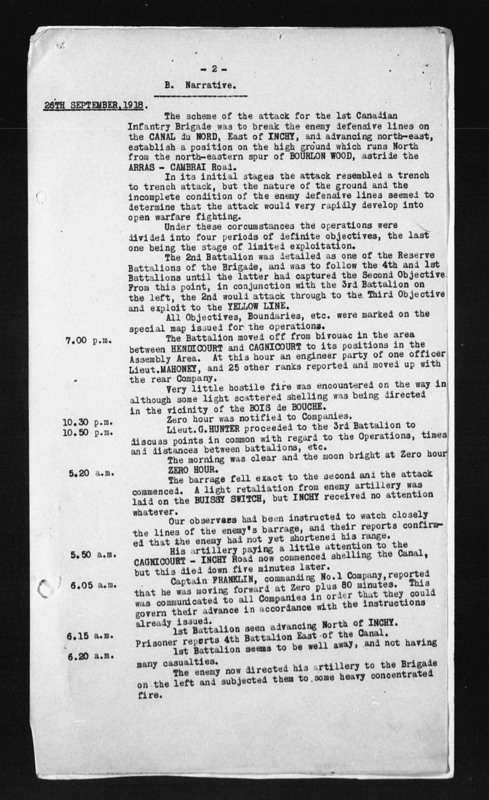 Within an hour of landing, 90% of the enlisted men and all the other officers were killed. Fraser was wounded in the face and hip, but he loaded ten men into a rowboat and pushed it two miles out to sea, where they were picked up by an Allied ship. Those were the only survivors of the Essex Scottish that day. Fraser was awarded the Military Cross and lived to the year 2000, 58 years longer than his compatriots. He is buried beside his parents at historic Williamstown United Church, Williamstown, Glengarry County, Eastern Ontario. I purchased a small wooden cross from my friend, dedicated it to “The Essex Scottish Regiment – Dieppe 1942”, we located a spot where it belonged, and we pounded it into the ground. I bade my new friend goodbye as dawn broke and the great city began to stir, and walked pensively back to my hotel. Welcome to the Commonwealth War Graves Commission website! Thank you clipe – how very kind of you – this CWGC site was new to me. There are literally hundreds of millions of stories like this one – countless soldiers and civilians killed in countless wars, and many more murdered by their own governments in brutal repressions – China, Russia, Ukraine, Cambodia – the list goes on and on. I suggest humanity can do better, but pacifism is not yet the answer. Rather, we need to more quickly and more accurately identify those who would do us serious harm, and deal with them in a swift and surgical manner. I believe we have the means to do so, but we have to get much smarter. 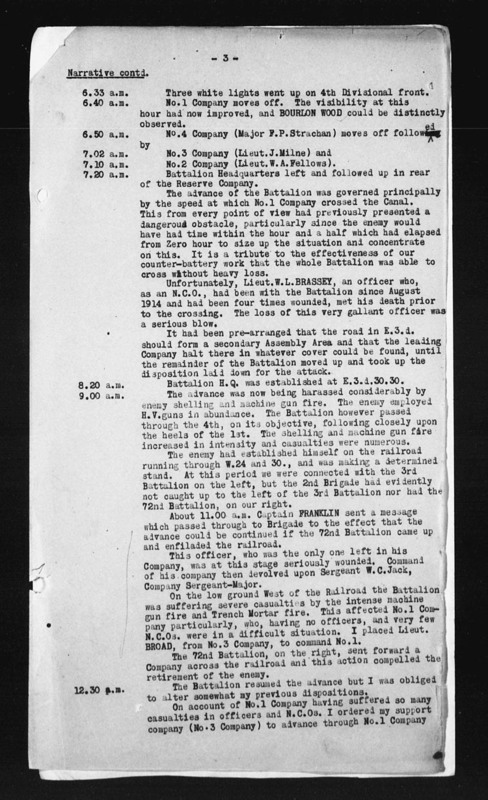 Thomas Rodgers Sample was born January 19th, 1896 at West Hawkesbury, Ontario, and was killed in action September 29th, 1918 near Arras, France. He is buried at Bucquoy Road Cemetery, Pas de Calais, France. I also have a letter from Thomas Sample to his mother, discovered in the Sample family bible. Written in the Gulf of St. Lawrence on the troopship prior to crossing the Atlantic, it promises his mother that he will soon be safely home again. I’ll bet all those vets would rather like to catch a “good” fish then a poppy. Here is the poem that inspired the use of the poppy as a memorial to those who fell in The Great War. Also this from which the 4th verse is used at remembrance services. I see Anthony picked acid safe waters. And he’ll have fish stories later? Is he a fishologist? I don’t think so. He’s clearly anti-fish. Plus he’s obviously paid by the fishing industry to lie. No a pescy – ologist / joke just in case a humourless troll is passing over the bridge. Ah, a tolerably cool day in the Tampa Bay area — they don’t come often enough. Is it hotter than we feared?? Maybe Trenberth’s missing heat is in TAMPA BAY! Have a glorious time and I hope you enjoy a good fish fry after your outing. The hat that he is wearing is required equipment. If I had known about them when down there 20 years ago it would have prevented my worst sunburn ever on the back of my neck. There is a redneck causation/correlation joke here somewhere. I do, however, know those hats work well. Tight lines, Anthony 🙂 Glad you’re here enjoying some of the things this area has to offer. Do I feel a bit smug, knowing that friends in New England are about to enjoy their first Polar Vortex? Btw…on our side of the peninsula, the Gulf side, there’s some very good fishing from shore on Honey Moon Island (state park). Shnook, sea trout, etc. And Honey Moon is a great place to just go visit. So I see that the investors in the Crescent Dunes Solar Energy Project are begging for taxpayer money to recoup their losses, since the plant is only making about a quarter of the power it was supposed to make, and running up huge natural gas bills at the same time. It’d be funny if the current administration weren’t given to let them have what they want. How DO fish survive in all that acidified water. I have said this before about alarmists and I have to say it again. They don’t -it’s like marinating them in lemon or lime juice – delicious. Have fun. Lose the hat. It’s his stunt double, for security purposes. Whoever it is, lose the hat anyway. I think the glory is if Anthony catches one he can and will hear the line sizzling though the water. The Antarctic sea ice after record highs in September has calmed down a bit and returned to more normal levels (It’s only about 450,000km above normal vs 2,000,000 before). The Alarmist claimed that global warming melted land ice which cause the salinity to drop lowering the freezing point which causes record ice. So why isn’t that happening now? If the Antarctic stays at normal levels for awhile, what will be their excuse for how Climate Change is causing normal sea ice levels? The Arctic, in 2013 after the annual low in September grew back fast and looked like it might reach “normal” levels again, but then around this time last year, something happened up there and the sea ice reversed and started melting for about a week and fell well below normal and the sea ice levels stayed low all winter. This year same thing, the ice was growing back fast and it was looking good, but again just like last year something happened up there in the last couple of days and the sea ice growth reversed. Hopefully it will resume soon and not be a big as reversal as 2013. Shame, it would be nice if the Arctic would just go above normal, it could be he final nail in the AGW scam’s coffin. Re “and started melting” … too cold in most of the “arctic” and so the decrease is likely down to the wind moving ice about and compacting it. qam1, I believe that has to do with the wind speed and direction resulting from former Typhoon Nuri blasting into the Bering Sea this past week. If you look at the latest sea ice concentration map (http://www7320.nrlssc.navy.mil/hycomARC/navo/arcticict_nowcast_anim30d.gif) you’ll see how there is growth in both extent and thickness from 20W-80E longitudes. I’ve no doubt that extent and thickness will shoot back to a “normal” 1981-2010 average, and perhaps then some. The NH snow cover extent, the prolonged cold spell over North America, and the return to non-typhoon conditions across the Bering Sea should all combine to a positive impact for Arctic conditions. There have been quite a few”final nails” and still they manage to survive – just! What is needed is a killer shot. AGW is like the Terminator who changes shape at will and gets out of anything. It’s because our beloved neighbors to the North, those ever-so-sweet Canadians, keep purposefully opening the damned border and letting those polar vortexes escape down into the States. Just like a fridge…leave the door open, the whole thing warms right up. All that cold air that was keeping the ice growth nice and steady was allowed to escape and give the Midwest a taste of winter a full month early. Had they kept it up there, the Arctic would be much healthier. CUTITOUT, you Canadians, YOU! You’re killing the planet! qam1 – Shame, it would be nice if the Arctic would just go above normal, it could be he final nail in the AGW scam’s coffin. It’s a shame that we long for conditions harsh to life on this planet to try and shut up the snake oil salesman. I imagine the snake oil salesman will always be there, so here is a glass raised to melting poles. 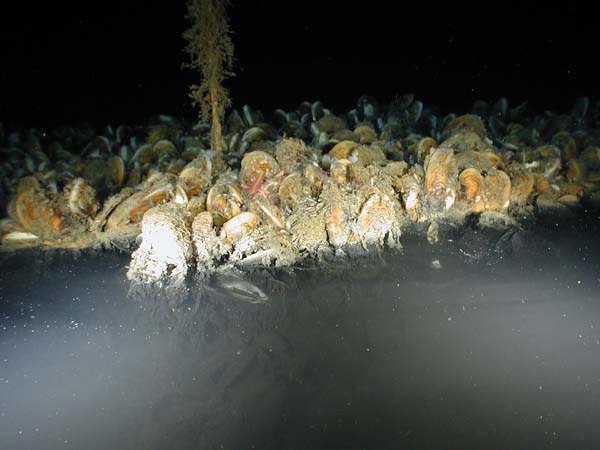 Besides, think of the paleontology waiting to be done beneath the antarctic ice! It would be worth dealing with the CAGW crowd if I could break ground on that lost continent. Who is longing for harsh conditions for life. I have complete faith that whether the Arctic sea ice is high or it is low the polar bears, seals, walruses, beluga whales and whatever other cutsie creatures that live there will do just fine, just like they’ve done for hundreds of thousands of years. The irony is, it would be great if the warmists were right. Some times you can be right for all the wrong reasons. Could we please boycott the usage of “final nail”. Frankly it makes sceptics look as stupid as alarmists.Just like they are constantly “it’s worse than we thought”, there have been enough “final nails” in the last 10 years to build the damn coffin from scratch. They’ve been predicting catastrophe “within 10 years” for the last 50 and their credibility is shot around people who have brain cells that generate friction. In science there no final answers OR final nails. Sorry, but it really gets to me. Find anything that differs from the CAGW line and somebody will declare it a “Final nail”. Jees, give it a rest already. Anyway – They understood that to be successful, they could not let others lower the bar for them. I had great respect for their charter to succeed. I learned a little sign, but I was a hearing guy. And I never ever got the humor in the Deaf jokes that were delivered in ASL… The whole context did not translate correctly for me. I caught a 22 pound snook in the serf at Sanibel Island many years ago. The funny thing is because I was using 12 pound test line on a light surf rod I had to run up and down the shell fragment strewn beach to land the fish. When I came into the little motel we were staying at 5 AM and yelled so loud I woke everyone up I noticed my feet hurt and were leaving bloody footprints. The sharp shell fragments did it. I have abbreviated this story, but I couldn’t resist one of the few opportunities to tell a fish story on WUWT. Make that many, many years ago. And Willis gets to tell fish stories. I caught a fish this big (spreads hands wide)! In summary they are very sure that they have developed a computer model that confirms a tautology, but they aren’t to sure about what it all means. What does a skeptic believe? I’m going to do a two hour class on global warming in the Spring and asked this questioned earlier, but didn’t get anything that I could use for my class. I’ll try again with a more targeted question. What does a skeptic believe in agreement with believers of CAGW? I’m going to do a two hour class on global warming in the Spring and asked this question earlier, but didn’t get anything that I could use for my class. I’ll try again with a more targeted question. GREAT!!! Here’s what I tell young people and college professors whenever I present technology to them. First – Always question claims, such that you can seek what is true. Don’t go around telling people, “X is true because this really smart guy, Mario, told us and it made sense”. To own something, you must seek to understand the fundamentals of what is being said, and how to go out there and witness it. It’s sort of a broad brushed approach. My topics are surrounding energy, and specifically nuclear in the context of spent nuclear fuel. Then, I make assertions, which I expect them to go out and test. But – one thing I would do is turn around the argument onto the warmists… take your first bullet for example. I would agree… but I’d say the following. The CAGW believers would have you think that climate is in stasis, and would not change more than plus or minus some small fraction of a degree Celsius unless CO2 causes that change. I’d pause… and then let that sink in. CAGW folks believe that the rise in CO2 caused the rise in global temperature (T). But as atmospheric scientists have found out, that is backward. Tell them that CO2 has risen from about 3 parts in 10,000, to only 4 parts in 10,000 — over a century and a half. It is still a very minor trace gas, but one which is as essential to life on earth as H2O. ……… but, SOMETIMES, Mario…… I know best ….. bwah, ha, ha, ha, haaaaaaaaa! The shortest response I have for “what a skeptic believes” is that we believe natural climate forces have, are, and will overwhelm human influence on climate. That is something that you might say about lukewarmers. Humans do affect the local weather (UHI). That humans affect the climate still has to be demonstrated. For this you need to separate your conjectured human induced warming from natural warming. I don’t have the slightest idea how you want to do that, and I can offer no help. Notice that you must show a human induced warming signal that is bigger than your measurement error to convince me. And it better not be a global average TEMPERATURE because that is a fictitious number. No, show me the heat content of, well, the atmosphere? The atmosphere plus the oceans? When the warmist scientists first managed to direct the debate towards the fictitous number “global average temperature” they had already left science and entered propaganda, or Orwellianism. This statement is simply not proven and all the evidence, so far, speaks LOUDLY against it. Good point, Dirk — @ David in Texas any “effect” of humans on climate is insignificant to the point of triviality. The VASTLY more powerful effects ocean currents, volcanoes, etc… OBLITERATE and have controlling effect over any tiny human influence on the climate of the Earth. The mere STATING of conjecture like that creates the false impression in people’s minds that it is likely to be a significant factor. Otherwise, follow Mario Lento’s advice — he is a gifted teacher. And David Hoffer has provided you with an excellent resource. Good for you, David (in Texas) to try to get the truth out there! It is also worth raising the question of what we mean by “affect the climate”. Do we mean noticeably? Yes, in local areas like towns we can tell the air is warmer and the wind is disrupted. Do we mean Globally? Not in a any way that can be distinguished from natural variations. Discuss how you could do so? Compare emissions to change in temperature – they don’t match up. Look at the rate of warming in the first half and second half of the 20thC. They rats are the same – yet more CO2 was emitted after WW2 than before. Do we just mean the effect of GHG? Well the point above counts but ask about the costs…. Not just the benefits of CO2 (good for photosynthesis) and the benefits of cheap energy (good for preventing poverty) but also the costs of trying to control the environment. This is an economic and political issue. That’s interesting too. If we could choose a temperature, what should it be compared to now? And would the people of Siberia agree with the people of Florida? And how do they negotiate? Those who say the climate debate is political are correct. So use it to teach politics too. Perhaps, but it doesn’t need a demonstration nor can there be for lack of a “control” to have a controlled experiment. It is a simple physical fact that carbon dioxide captures longwave infrared radiation, and in doing so, “warms up”. It will either collide with another molecule imparting its heat (or part of it) or, where the atmosphere is thinner, re-radiate that same photon. The implication is that more CO2 should increase near-surface temperatures while enhancing top-of-atmosphere cooling. The net effect I doubt anyone can say with precision but to simply assert that it has no effect is unscientific. Here is a little engineering/math to back that up. Shows Radiative focings of CO2 = 1.66 W/m^2 CH4 = 0.48 W/m^2 N2O = 0.16 W/m^2 and Halocarbons = 0.34 W/m^2. Total Long- lived greenhouse gasses = 2.64 W/m^2 for their changes from 1750 to 2005. All this leads to => 2.64 W/m^2 * 31,557,600 sec/yr = 83,312,000 J/m^2 in a year. –> 83,312,000(J/m^2) / 2,800,000,000(J/m^3) = .03 m = or 3 cm and if open ocean/total area is 65% then 3 / .65 = 4.62 cm (2.54 to the inch) of extra ocean evaporation would eat up all the extra LW radiation from Long-lived GHG gains from 1750 to 2005 each year. In comparision the total annual ocean evaporation rate = 140 CM. “It is a simple physical fact that carbon dioxide captures longwave infrared radiation, and in doing so, “warms up”. It will either collide with another molecule imparting its heat (or part of it) or, where the atmosphere is thinner, re-radiate that same photon. And what happens after that? The IPCC climate models posit that positive water vapor feedback makes it all worse. But positive water vapor feedback has never been observed in the wild. Miskolczi OTOH states that increasing CO2 is counteracted by decreasing water vapor, keeping the atmosphere at a constant transparency on average. You can’t answer this question with your argument. Miskolczi plus the statistical analysis by Beenstock & Reingewertz tell me that the IPCC is wrong. How wrong we will see. I think very. Water vapor is the big player, not CO2. RTFC. I have made no attempt to answer the question of CO2 impact on climate. CO2 must have an effect. Whether on the global scale that effect is neutralized is something else entirely, producing TWO effects (that might cancel to lesser or greater degree) rather than zero effect. You see, the cancellation is not going to be instant and uniform, thus producing regional effects. You see, the cancellation is not going to be instant and uniform, thus producing regional effects. I made this comment earlier today at the bottom of the thread (reposted with minor edits, well okay, I changed it a bit, but now it is understandable). I’ve noticed that after the Sun sets, I can see the temp drop by 10F per hour on clear nights, until the temp get close to what the dew point was (at Sunset), at which time the cooling rate will decrease to a few degrees F per hour. This is with 90-110F colder skies. I think what’s happening is that when it gets close to dew point, the water vapor almost condenses out of the air (think invisible fog). The high cooling rate is controlled by Co2 and humidity, until water vapor starts condensing out of the air which then sets the cooling rate for the rest of the night. This happens around the world, even in deserts (which is how you can collect some moisture in those water collects your see guys like Bear Grylls use). So, while Co2 is the limiting factor for cooling for the first part of the evening, water vapor controls cooling the rest of the night. All an increase of Co2 would impact is what time this transition takes place. The “microbolometer” pixels in the Fluke VT04 thermal camera are sensitive in an infrared “window” that is not absorbed or emitted by CO2. Consequently this device (and most microbolometer devices of similar kind) will not directly see emissions by CO2. Multispectral devices exist that see the wavelength emitted by CO2. An implication of this is that SOME infrared energy can be radiated directly from the surface of the Earth all the way into space if the path is otherwise unobstructed by clouds. CO2 operates only in specific wavelengths or bands of wavelengths, likewise water vapor. Continuing the thought process, such energy that is captured by CO2 and re-absorbed by the Earth surface, of that some of it will be emitted in wavelengths that can reach space directly. The thermal blanket effect is rather more “porous” than I had supposed and even 100 percent CO2 would not prevent radiation escaping in those wavelengths at which CO2 is transparent. Thanks for the follow up, sorry for the delay, got busy at work. So let me reply to some of your comments. So the rapid drop in temperature is initially just seeking an equilibrium for the night — removing the solar heating of the surface which maintains an *imbalance* between dirt and air. I have found that my IR thermometer doesn’t have the power to maintain the it’s sensor temp while reading very cold objects, and if left on them for long periods of time the temp drifts colder, So when I do a measurement, I scan my front side walk, the grass in the front yard, then the sky, and finish with the sidewalk again. I also have a inexpensive weather station, and as long as I measurement the sidewalk a hour or two after it’s in shade, it is approximately air temp. So the quick cooling rate wasn’t air equalizing with the ground. Convection is a heat engine and once the differential between dirt and air is reduced, that particular engine stops, leaving radiation as the sole remover of further heat from dirt. Of course, the water vapor and CO2 in the air will re-radiate right back onto the dirt so there’s going to be a lapse rate with altitude, farther from warm dirt and closer to cold sky and “top of atmosphere”. I’ve also noticed that by early to later evening many days the winds drop to zero. The 10F/hour did have a slight breeze, I quickly found another day with no winds that had 7F/hour cooling, and if I looked for more than a couple minutes I probably could have matched the 10F/hour rate. I’ve also found that the grass gets 5-10 degrees F colder than the sidewalk, pretty quickly as well. I think the air in the blades acts as an insulator, allowing the top to cool quickly, this is also why the grass will have a coating of frost, while the sidewalk doesn’t. Interestingly, googling for night scenes shows no sea or soup of infrared emitted by the atmosphere. If the mean distance of infrared was 10 meters as is sometimes claimed, you’d lose 50 percent of your image in only 10 meters to a “haze” of background radiation from the atmosphere itself. But that seems not to be the case. The implication of that is that convection is paramount and infrared capture and re-radiation is almost non-existent near the earth’s surface because otherwise you would plainly see it in one of these infrared imagers. This is a good point, plus I really don’t know the height of the signal I read while my thermometer is point up, clouds of almost all types are evident in measurements (they are warmer), and humidity seems to have a larger influence as compared to surface temp itself. I’ve measured temps across my yard, and they seemed reasonable, I’ll have to try a much longer distance. You should be able to find a black body spectrum generator online, -70F peaks right at 15u – 16u, the main band blamed for the warming. My thermometer stops at 14u, by design so it won’t be blocked. Prikka (Prekka?) brought this to my attention, so my measured temps are 3-4F to cold, but the 70-90F of clouds swamps that 3-4F. But even at that, the sky’s temp as seem from say 2 meters, is that cold, and in fact those Co2 molecules could transfer some of their energy to non-radiative gases, and the unmeasured heat could be less than the the 3-4F i mention above. When I want to figure this stuff out (are you paying attention Kristian? ), my go to doc’s are Feynman’s Lectures on Physic’s, these topics are covered in book 1 chpt’s 28-32 and 38-45. I highly recommend him, it’s a shame he’s gone. “All other things being equal” an increase in CO2 must cause an increase in temps as a primary point. A doubling would cause about 1.1 degree of warming. This is indisputable and therefore to say that our CO2 emissions don’t have an input is simply wrong. However the input is not the argument or the final word. The only thing that is important is what happens after all other factors and feedbacks are taken into account. If feedbacks are predominantly negative then the CO2 input will be largely or completely negated. But this is still having an effect because it leads to a larger negative feedback. I suspect UHI is horizontal radiation. It just bounces back and forth between vertical walls until the air convects it away. If true this should happen in canyons too. I would love to see this petition updated and expanded to include Scientists from other countries. Problem is, the 97% consensus is well publicised and established. Many accept the gospel according to the IPCC as their guide. Recently, here in Ireland, I was listening to a well known economist commentator, who is highly critical of the many wind farms intended to be added across the State. He sees the stupidity of investing any further into them. He has been very vocal of late, much to the annoyance of the local Greens etc. But when he was asked about the overall view of the scientific community, that we have to de carbonise to save the world, he was fully on board. He said he accepts the consensus and the work of all the worlds scientists for the last 25 years in the IPCC. I don’t think it’s a case of him, having understood the the contents of the AR5 reports, that he based his agreement with it. I think it’s more a case of him thinking, well the science is not my area, I’m an economist so I’ll just accept what I’m being told here, by 97% of scientists. I suspect there are many like him. … and D. B. Stealey’s excellent presentation of demonstrative evidence, too (posted while I was composing my post)! Yes – as Janice says… DBSTEALEY – your presentation material is awesome! I’d have to agree with Janice broadly speaking. We need to be cognizant of what people mean when they say “Climate Change”. The implication of course is that CO2 has been proven to affect climate. The implication further is that any changes are bad. Never are there implications such as a bumper crop and nicer weather attributed either. It’s always bad. Of course, there is that butterfly effect too – you make a small change somewhere and some big thing happens as a result. Yes – we change climate by putting up golf courses, and planting farms, and building cities… and these are all LOCAL climate changes, which have NOTHING to do with CO2. I change the climate inside my four walls when I close the windows! The true self described d-e-N-ie-rs are the people who spew out that “Climate Change” is man made! This implies climate was in stasis – that it was steady and predictable – until man came along and burned fossil fuels which led to catastrophic 0.5C changes away from the perfect 20th Century non changing climate. Wait – uhm… was it really non changing? I digress. (4) scale of temp and CO2 manipulated to show/imply correlation (CO2 delta about 45%; temp delta somewhere around 3%). Like I said, I’m a rabid skeptic (for starters, CAGW fails the scientific methodology: highly dubious & constant IPCC temp data manipulation + inability to produce testable predictions), but any “warmest” accepting this display as scientific proof of anything is double stupid. 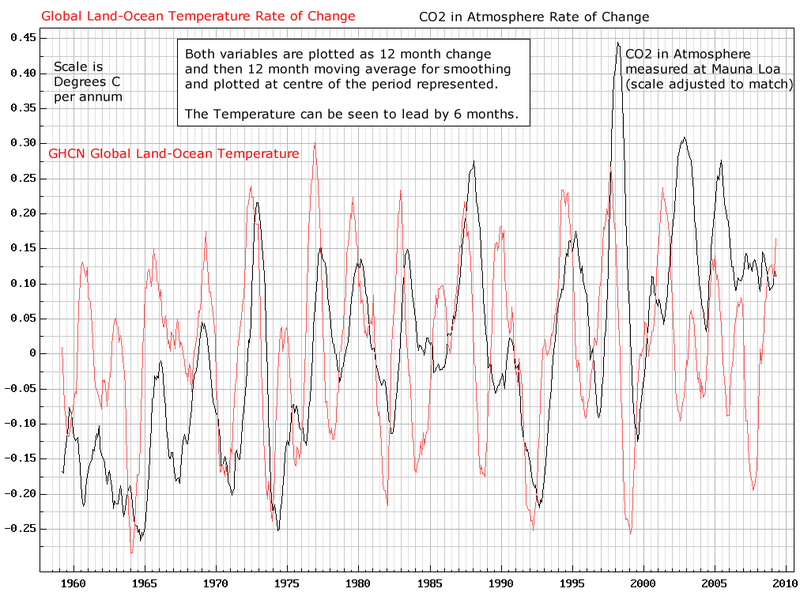 1) I posted charts showing other time frames, such as the cycles chart that shows very recent CO2/T cause and effect. Here is a chart showing recent example of the CO2/T relationship. Here is another one [you have to look closely to see that T changed first, followed by CO2]. Next, here is a peer reviewed paper stating that CO2 lags T by 800 ±200 years. Then there is this chart from Wikipedia. 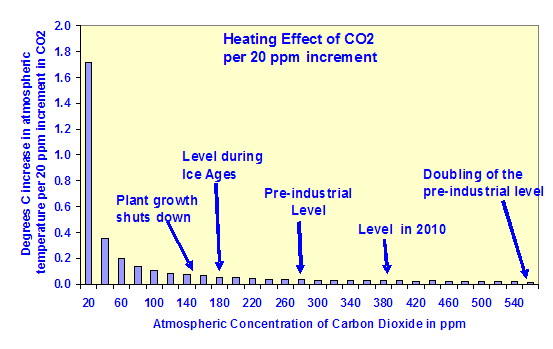 Note that it states in the chart that ∆T causes ∆CO2. This is a chart with a long time frame. 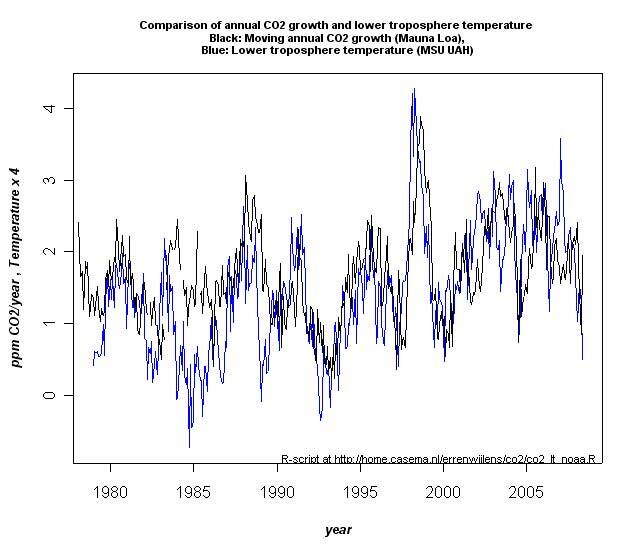 It also shows that CO2 lags T.
Another chart from a different source, showing that CO2 lags T.
Here is another peer reviewed paper, concluding that changes in CO2 are the result of changes in temperature. 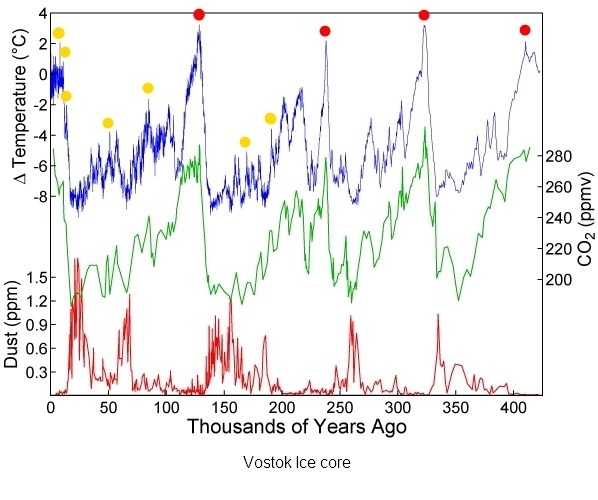 This chart shows that ∆T leads ∆CO2; time scale of 400,000 years. Here is another chart showing the same cause and effect relationship. The fact that CO2 lags T is accepted by most climate scientists. That they do not announce that fact to everyone has more to do with funding than with science. 2) I assume you are referring to the 135,000 year chart. What is unusual about the swings in CO2? Your question isn’t clear enough for me. Rephrase it and I’ll try to answer. 3) Scientists know the temperatures from ice core evidence. That does not mean those were the temperatures in other areas. But since temperature trends in all three areas [Greenland, Antarctica, and the Arctic] all change in the same direction at the same time, it can be inferred that the rest of the globe did likewise. 4) What is “manipulated”? The argument is not that CO2 and T changed by the same scale factor, but that one precedes the other, on all time scales from years to hundreds of thousands of years. There are no charts that I can find which show that changes in CO2 are the cause of changes in global temperature. If you have such evidence, please post it. …any “warmest” accepting this display as scientific proof of anything is double stupid. Please tell us then, what would it take to convince you? Because I am convinced that ∆T is the cause of ∆CO2. And I am a skeptic. I appreciate your response – having seen only the 2 charts included in the comments section inspired in my comments on “creative charting” (graphing 1 variable on an absolute basis, another as “net change”, altering scale to imply correlation…). Your response to me points out a more comprehensive analysis, alleviating my concerns. CAGW fools (warmest, whatever we’re calling them this week) use this technique all the time; I get riled up when I perceive (in your case incorrectly) that our side of the argument uses the technique as well. I may be a retired CFO, but I learned my physics (and math) at Ga Tech; I understand the Einstein/Feynman scientific methodology. I’m not a professional scientist, but that doesn’t stop me from looking for manipulative techniques. I have spent a professional lifetime making investment decisions by wading thru other people’s numbers to separate fact from fiction. I don’t mind having my feet held to the fire. When I’m wrong I want to know. I kept my reply to David short because I didn’t want to bury him with too much info. A few basic visual aids are usually enough to get people thinking… well, those whose minds aren’t already made up and closed tight. Lots of those in the alarmist crowd. As Mario indicates, it’s not just about the subject matter, its about the way we come to believe what is true and what is false. I’d like to suggest that you find a copy of “The Flight from Science and Reason” edited by Gross, Levitt, and Lewis, and take a good read of the essay section that deals with the Environment. At the very least it helps reinforce that the science is not settled. For what it’s worth I agree that there are many man-made environmental messes, but AGW is not one of them. Perfectly stated Mark. We need to realize that the AGW meme has perverted true environmental concerns such that liberals do a few things. This critical mishap of defining a non pollutant as a pollutant distracts focus away from pollution… and towards something which is tied to a substance, CO2, which is needed for life to thrive. Want more plants? add CO2, burn fossil fuels to free up all that sequestered CO2. Want to amplify humans ability to do work and escalate their standard of living? burn fossil fuels. The earth is more ocean than earth. The ocean is big, very big, and not well understood. Whatever he or she wishes to believe. The word describes a doubt about a claim and does not assert claims of its own. As you can plainly see, any particular skeptic probably has claims, but this cannot be tied to the word “skeptic”. A person might be skeptical (doubtful) of the proposed degree of catastrophe. Another person may doubt global warming is happening. A third might accept global warming but doubt humans have much to do with it. These doubts may stem from alternative explanations or beliefs but it isn’t necessary. Some people (many, actually) simply choose not to believe what they are told the moment they are told. The most broad interpretation simply means to doubt the “Consensus” view that global warming is highly likely (nearly certain) to produce various catastrophes and that humans are the cause of it. A common perception among Believers is that sea level will rise rapidly and drown millions of Bangladeshis. A movie example is “Day After Tomorrow” where a huge tsunami floods New York City. So if you have a more scientific understanding and realize that even the most dramatic projections are for a 6 foot sea level rise in the next 80 years, perhaps you will be “skeptical” about the tsunami invading New York City, or skeptical about polar bears falling from the sky. Great explanation of a scientific skeptic. Too often we are bamboozled into trying to explain what we believe, instead of doing our job: tearing down conjectures and hypotheses whenever possible. That is how the Scientific Method works. After a hypothesis has been attacked from all angles, what is left standing when the smoke clears is accepted as current scientific knowledge [which can be overturned at any time with new facts]. The man-made global warming conjecture has not withstood attack. The response has been to counter-attack, rather than to regroup and try to determine what is wrong with the hypothesis [really, only a conjecture]. Skeptics need to keep their eye on the ball: we do not have to explain anything. The onus is entirely on those putting forth a conjecture, such as CO2=CAGW. They have to support their conjecture. We need to be firm about that: Skeptics have nothing to prove. The onus is entirely on the purveyors of the ‘carbon’ scare. So far, they have failed the test — as Planet Earth is showing everyone. The planet has no reason to lie. They do: money. I guess the question should be “what do skeptics think vis a vis CAGW.” There is probably a some subset of group think; that climate always changes, and CO2 can affect warming but to some limited degree and only in isolation since the direction and types of feedbacks are not well understood enough to suggest a direction for warming. Everything else is all over the place from, the sun did it, to the oceans did it to a combination of many other things. But the operative word is think, because skeptics seek truth and don’t like being told what to do or think. Warmists, on the other hand, don’t think. They believe. They recycle what others tell them to think. They believe CO2 is pollution, and is causing global warming and climate change and climate weirding and/or everything / anything bad that happens to weather. They believe whatever the MSM tells them to think. The processing of their implanted thoughts is turned into a religious belief which cannot be reasoned with. They need government to tell others what to do and how to act. To defend the key point raised by DBStealey, you might want to be able to give the basic “elevator speech” explaining why temperature changes precede CO2 changes, and why the CAGW claim of a deadly “feedback loop of rising CO2 / rising temps has not been born out during warming episodes in past. Carbon dioxide in the atmosphere is the product of oceanic respiration due to the well‑known but under‑appreciated solubility pump. Carbon dioxide rises out of warm ocean waters where it is added to the atmosphere. There it is mixed with residual and accidental CO2, and circulated, to be absorbed into the sink of the cold ocean waters. Next the thermohaline circulation carries the CO2‑rich sea water deep into the ocean. A millennium later it appears at the surface in warm waters, saturated by lower pressure and higher temperature, to be exhausted back into the atmosphere. I would add that increased water vapour will lead to more clouds, although we (skeptics) disagree with the CAGW alarmists that (1) the clouds will negate ISI warming and (2) will be more concentrated with greater rainfall intensity over localized areas and not broader geographical extent. The single greatest graph about globull warming was posted by dbstealy some years ago. In my opinion it achieves greets graph status because it puts the temperature in context with the rise of CO2. We can talk anomalies, or trends, or whatever…But look at the temperature line. Virtually flat for more than 100 years. I can’t figure out how to embed it here, but perhaps db can help out. It is titled U.S. “Accelerated” Warming Since 1895. I’ve shown it to know it all warmists who simply have no answer. If those are not the right charts, let me know and I’ll keep looking. I have thousands saved, so it may take a while. Those are close. The chart I have saved superimposes the nearly flat temperature line over the CO2 ppm. Obviously the temp line is flat for all intents and purposes, while the CO2 is rising like the first hill on the average roller coaster. I can drop box the one I have back to you if it will help. Sure, dropbox it. Or, just copy the url of the chart, and post it here. That the Antarctic sea ice extent has increased to record level “because of global warming”. That 400 parts per million of carbon dioxide in the atmosphere is going to cause the earth to boil. In spite of the simple fact that CO2 has been much higher in the past. You must ignore the simple fact that CO2 in the atmosphere is only 3.5% or so caused by human activities. You must ignore the increase in the biosphere BECAUSE of the increased CO2. You must ignore the increase in the food supply (grains) for the world because of this CO2 increase. What I believe: YOU are a global warming believer troll. I will pay my own airfare and expenses to Texas to teach that class. What I would do is deliver a 20 minute or so presentation and then answer questions from the students.. Something the climate “scientists” have conspicuously been unwilling to do. I challenge you, I’m game to come to Texas. Have a great time Anthony. Uh oh, now you’ll be able to hear the fish scream. Ah, Tampa Bay. McDill AFB was a training base for B26 bombers in WWII. A challenging plane to fly, they lost so many in training accidents the saying was “One a day in Tampa Bay.” The US almost dropped the plane until actual combat pilots raised a stink about it, pointing out that it took an experienced pilot to fly but it was well worth it as it was an exceptional combat aircraft. Fast forward a couple of decades and almost the same thing could be said about the B47, which was first deployed there. and it really hit the nail on the head! I laughed pretty hard reading the captions, great photos. I’ve just posted an up-beat report on polar bears in Western Hudson Bay, relayed from Kelsey Eliasson in Churchill. Ice is forming along the bay and there have been a good number of females with cubs spotted. I’ve provided today’s sea ice map, take a look if you’re interested. David, in Texas. I am a skeptic and so I’ll go with items @1, #2, and #4. I’m not so sure about “CO2 is a “greenhouse” gas”. I guess it depends a lot on how “greenhouse gas” is defined and what level of concentration we need in the air for it to have any effect. o There is no solid evidence for catastrophic global warming, which is largely posited on theory and modeling. For the past history of John Holdren the senior advisor to President Barack Obama on science and technology issues through his roles as Assistant to the President for Science and Technology, Director of the White House Office of Science and Technology Policy, and Co-Chair of the President’s Council of Advisors on Science and Technology you can’t do better than read “The Bet’ by Paul Sabin. It’s only $14 on Amazon. It details the involvement of Holdren in the Zero Population Growth fiasco of the 70s. He co-wrote an ecology text back then with Paul Ehrlich who famously predicted that we’d all be starving in the dark by 2000. His track record is less than good. The book is quite well written and also describes the Club of Rome doomsday fiasco of roughly the same time. Enjoy and relax, Anthony, but watch out for the Big One. A hurricane, I mean. The devils have a way of sneaking up on you when you are not looking. We were called ‘global warming deniers’. Then we were called ‘climate change deniers’. Now we are called ‘climate deniers’. Have you noticed that the abuse has been modified during period of the temperature standstill? I’ll wear that title with honor. Maybe I can sneak this in while Anthony’s having fun fishing. lol — thanks for the fun (and true!) humor, D.B. Stealey — really cleverly done, often getting the Deutsche to closely imitate the English subtitle. Century Measured in Air from Firn at the South Pole’, Nature 383, 231–235. I am looking for the methane and nitrous oxide concentrations they extracted from the South Pole firn. I have emailed Battle and Bender, but they won’t respond. I have emailed three people at NOAA and they won’t respond. Any ideas where to get this data? There is so much great information on this website. The charts and graphs stick in my head much longer than the prose. Has anyone ever collected and organized the visual information presented here? I would be willing to take that on if people think it is a worthwhile endeavor. keyboard/screen redecorated with a fine Malbec. I am a denial denier. Don’t catch them all. Leave 2 or 3 fish for me, Anthony. I’ll be fishing Tampa Bay and out in the Gulf in February. The fishing is always great. I hope the catching is just as good. Here’s hoping you can hook and boat a good sized tarpon. Fishing is better with the tarp off. Why would you “boat it”, for a start it is illegal without a kill permit (which used to cost $50). You can’t remove it from the water to take a photo, without that permit. Just bring it alongside, and take the hook out, and let it go (after waking it up). Figure of speech, George, but at the same time, I wasn’t aware that the picture-and-release was a no-no. 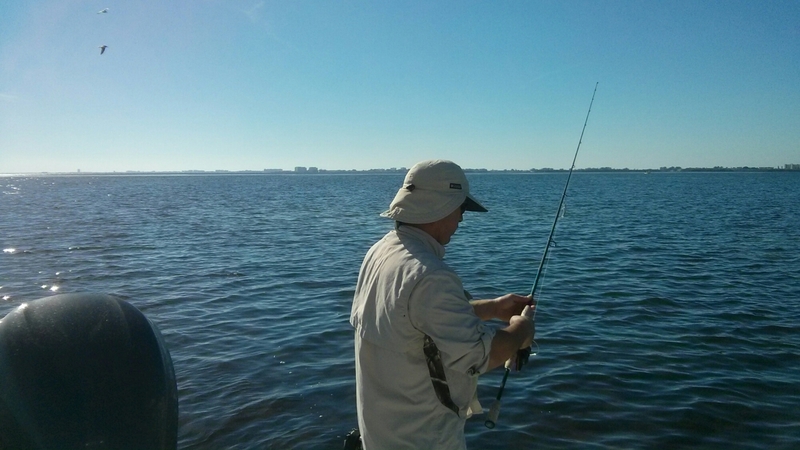 None of my Tampa Bay fishing is from a boat so I never gave it a thought. Everything I’ve caught has to be dragged onto the beach or reeled into hand to de-hook. No problem H.R. You can bring the fish to the boat and take pics of it in the water, or you can safely lift the head out of the water. But taking the fish out of the water and slapping it across your knees for the GWH photo is a no-no. The fish simply cannot support its innards properly, out of the water, specially in the across the knees position. Realistically, baby tarpon, up to maybe 15-20 pounds, it’s not an issue, but I’m sure the Florida law still applies. My biggest one “landed” was estimated 150, and I nearly had the very first (fly rod) 200 # tarpon, but broke it off with a knot in the 15# tippet. But we could have gaffed the fish and had it in the boat. But I wasn’t going to do that anyway. That was at Homosassa, where the giants grow. They’re spectacular fish. We don’t take bill fish out of the water either. Let em go, and catch them again another day. The recent US elections were quite unusual. Do WUWT readers believe that the recent drastic election results show a great deal of destroyed trust in the various experts, like those claiming man-made global warming is real, and apocalyptic? Does it reveal that a large part of the populace has gotten tired of grand schemes from Executive-Branch Czars? Does it mean that communists are actually afoot, and that the populace has finally figured it out? Or is there simply natural variability in election results from year to year? And the accusations of watermelons everywhere is plain ol’ McCarthyism? I think its more of a referendum on government not being accountable to its more common citizens as opposed to special interests and further a reflection of the natural ebb and flow of various election cycles. I have a question, it concerns the ERL (Effective Radiation Level) and I’m familiar (as most WUWT bloggers) with Lindzen’s slide show explanation of the enhanced greenhouse effect. I’m sort of, totally uneducated….went to school, played football, distracted by cheerleaders, graduated from art college, but my father, who cared, was an aeronautical engineer. Here’s Lindzen’s part, slightly edited and the parenthesis are mine……”To be sure, adding greenhouse gases (CO2) to the atmosphere raises the ERL (effective radiation level) where outgoing long-wave balances incoming short-wave (for every action there is an equal and opposite reaction). This means the new emission level is colder than the original emission level. This reduces the outgoing infrared radiative flux, which no longer balances the net incoming solar radiation. Thus, the troposphere (because it’s dynamically, which means forcefully, mixed) must warm as a whole, including the surface while preserving its lapse rate (the rate of decrease with height for temperature)”. So!…..IMHO, both the elevation increase of the new emission level and the time required to establish the new equilibrium are unknown, ergo (I guess) how much it warms and what impact the phenomenon has on climate is yet to be determined. Here’s my question: Since the new level is higher it’s also larger, as if an expanding balloon, hence more OLR, thus equilibrium somewhat maintained. Yes? No? There are many different effects in the real world that aren’t in that simple description. Perhaps there will be more phase changes (water vapour turning to ice or vice versa) due to increased downdraughts or other local wind patterns. Perhaps clouds are affected reducing the incoming energy – or maybe slowing the escape of energy – and who knows what the rate is for those changes. If they happen. Perhaps increased warmth causes algal blooms that change the colour of the ocean and thus the reflectance/absorbance. What I’m saying is that any simple prediction about the climate will be wrong (or unjustified) because the weather isn’t simple. MCourtney, I like your answer, it’s one my father would have said. When I posted this question, I mistakenly left out my name, yet it went through, kudos WUWT. Glad to help with my acknowledged ignorance. And I managed to get that without being distracted by cheerleaders, sigh. Jimbo, nice catch, I am respectfully humbled. What to talk about in a presentation in man-made global warming. Yes, the concept that skepticism is the leading hallmark of the scientific approach to seeking knowledge. Also: maybe present the topic of natural variability, and the problem of the ecological fallacy, especially when the time span surveyed is too brief to encompass natural variability. Regarding natural variability, one strategy is to bring up a well-recognized concept: the 100-year flood plain. Ask people to explain it. Ask how that flood plain might be determined. It obviously depends on data going back at least 100 years. If any home-owner recognizes this illustration of natural variability, it becomes obvious you cannot look at Arctic sea ice levels from 1979-today, 15 years, and identify a down-turn as proof of global warming, much less man-made global warming. So, the people who spend their lives in front of computers in academia are totally sold on the belief that whatever brings them grants must be true. The horny-handed sons of the soil whose very livelihood depends on an intimate knowledge of the effect of weather and climate on their business aren’t even sure that the climate is changing. I wonder who might be right? Perhaps McCarthy was an optimist ? The American National Standards Institute Network on Smart and Sustainable Cities will host a free webinar Nov. 18 about applying the climate change standards of the International Organization for Standardization to cities and local governments. It will take place from 2 p.m. to 3:30 pm EST. ANSI calls climate change “the preeminent issue of our time,” citing events such as “Superstorm” Sandy. The webinar will focus on the work program of ISO Technical Committee 207’s Subcommittee 7 on greenhouse gas management and related activities; mainly deals with measuring, reducing, managing, and verifying greenhouse gas emissions. The requirements defined in ISO 14065:2007, Greenhouse gases – Requirements for greenhouse gas validation and verification bodies for use in accreditation or other forms of recognition, are the basis for ANSI’s accreditation program for organizations providing third-party validation and verification services. Note 1 to entry: GHGs include carbon dioxide (CO2), methane (CH4), nitrous oxide (N2O), hydrofluorocarbons (HFCs), perfluorocarbons (PFCs) and sulfur hexafluoride (SF6). They left out water vapor. They always leave out water vapour. It is supposedly because it responds to the other GHGs, water being in abundance. This is convenient. Natural variations obviously swamp anthropogenic emissions of water (look at the rain) so it can’t be included as a GHG. That would invalidate the whole cAGW hypothesis; unless water vapour is governed by anthropogenic GHGs. A hypothesis for which there is no evidence, of course. MCourtney, well said, you shouldn’t be surprised (I’m sure you’re not), AGW as a concern still has a great deal of support. Throughout the first world, it’s almost all media, all three levels of government, all three levels of education, I could go on…it’s everywhere. Anybody who is anybody thinks they need to be on board the good ship AGW, they can’t be branded a “denier”, after all this is about saving the world. That temperatures have not increased this century while CO2 has it’s now obvious to many the anthro CO2 bite on longwave IR really doesn’t have the teeth required to noticeably increase temps or change climate. Longwave retention in the lower atmosphere is largely a water vapour affair (as you say). And, as I said earlier, if adding CO2 raises the ERL (Effective Radiation Level), then the new level has a larger surface area to radiate from (as if an expanding balloon) so there really isn’t that much disturbance to the equilibrium where outgoing longwave balances incoming shortwave. Everyone who reads this blog understands the possibility this AGW thing really has been and is still being oversold. It’s mostly ego, folks don’t want to say they were wrong. The global warming issue had its American debut in 1988, the roll-out coincided with rising CO2 levels and rising temperatures. There was genuine concern. Gore’s documentary convinced the public the planet was warming and we were the cause. Everyone boarded the good ship AGW in the belief of saving the world from the fast approaching man-made climate of doom. Inspite of what I don’t know, I’m not impressed with the hype. As Lindzen says this “irrational obsession with carbon footprints and climate” will hopefully, eventually end and the tried and true: theory, observation and test,test,test will prevail..
Hello again Phil Brisley, Yes. A lot of the support for cAGW comes from people not wanting to admit thy were suckered. Yet the “Pause” proves they were. My own thoughts are to let them back away quietly and let the problem die with a whimper or less than that noise. Let their final judgement come from above; I won’t judge then for having made a mistake. Here in the UK the hyped AGW thing dates back to at least 1985 when Thatcher wanted to kick the coal mining unions. FYI: My father was the 1st sceptic – even before that Aussie blog with the cloudy background. His first anti-AGW paper was about 1982. We in the UK also have a different 3 levels of government. But the issues are the same on both side of the Pond. MCourtney, I’m familiar with your father’s history. I was quite delighted it was you who answered my original question, thanks. That’s only because they know the government can’t regulate and tax water vapour. Looks like the Hillsborough Bay…if you are in the Old Tampa Bay, get to the south side of Gandy Bridge, excellent fishing there. Reuse this giant gas guzzling helicopter to save the planet! But we have to replace all of our old automobiles with energy efficient models, as well as all of our old refrigerators, washers and dryers? The Ivanpah solar complex that was built with a $1.6 billion taxpayer loan is back at the trough again asking for $539 billion. It get my blood boiling. Makes me wonder if it will be applied that to our foolishness with ‘billions for alternatives and climate’. Let’s say the tide finally turns and the world realizes that innovations takes time but those that are cost effective are the ones that survive. Galveston TX has a seawall, I shutter to think if they had not built it. BUT you see, Galveston was a great shipping city. A great shipping city needs to be low and on the coast. In the 100 years before the great hurricane that leveled Galveston in 1900 there had been 11 major hurricane strikes. They had endured 4ft, 7ft and 8.5 ft storm surges and flooding. So they knew how susceptible they were to hurricanes. THEN came 1900 and 15.5 ft of water and a direct hit. The countries response was 1.5 million (about 50 million today) in direct aide to the city and Galveston build a large seawall to protect themselves at a cost of 1.6 million over 4 years. Since then 2 major hurricanes have stuck and each time it has protected the city and saved well over 150 million in damages. The take away is: Data! REAL data drives our understanding of the future and how we should respond. The real cost of protecting the city of Galveston was minuscule compared to the benefits. That is how we should drive green and alternate energies. From the “just weather” files: northern US suffers under near-record cold. Snow forecast for NE Oregon this week, with lows in single digits F in the Blue Mountains. Records set back in the ’70s, around the time of the previous PDO flip, from cool to warm mode. Now we’re flipping back. No man-made climate change explanations need apply. While Pres Obama negotiates a Climate Change agreement with the Red Chinese though. Stupidity on the Left knows no bounds of logic or honesty. You’re just baiting us, right? My birthplace. I’ve seen claims that one Icelandic volcano emits in 4 days more GHGs than were allegedly prevented from being emitted by human beings during the whole time of the existence of environmentalist programs. Is this true? And, if it is, what are the actual numbers? That sounds like rubbish. The interchange with the ocean dominates both. Indeed their graph of Mauna Loa with the big volcanoes on show that CO2 rise is so smooth it can’t be related to anything at a decadal scale. In my opinion, that includes the economy and industrialisation. But SkS don’t address that. I thought it was an exaggeration. And yet, finding exact information about the amount of GHGs (not only CO2) emitted by volcanoes seems to be exceedingly difficult. Yeah, it is hard to get precise figures. Probably because most volcano emissions are under the sea or near dangerous lava craters. That’s why I resorted to SkS. Their numbers (in this case) make sense. And if volcanoes were so obviously bigger than all mankind I’m sure we would have heard by now. “Higgs’ Boson,” most probably, ain’t Higgs’ Boson: I told you so. I recall you did but I don’t know about this. Link to Higgs news, please. Alexander Feht, thank you. But I’m now more convinced that the Higgs boson was found. Sorry. To find this alternative explanation of the readings they need to deduce a 5th fundamental force. OK, this conveniently unifies the other 4 – that’s what it’s for – but it seems to me that it should be cut out by Occam’s Razor. This might take a while. We’re still busy building the necessary wind turbines. I am even more sorry, because no important discovery should be proclaimed on the basis of a single, non-reproduced, and highly dubious blip. Over 100 messages and no one has mentioned India’s new weapon against climate change, yoga minister Shripad Yesso? Great post, Cheered me up no end. Modi impresses as being on top of it all. And yes I think he is having a big wink at the climate flap-doodling of other nations. Let’s face it yoga is just as likely to fix climate change as anything else. Can’t lose on that one. Also Modi recently reconstituted his Climate Council or whatever it is called there to retain more powers himself (it hasn’t met for three years but will meet soon which is any time in the next century according to Indian time). The head of IPCC Pachauri is still on it. The Indians maintain great order and wisdom in the face of various intrusions from outside and the seeming chaos of their own. I might even be tempted to join him on the next Yoga International Day. ohm… happy fishing from an Oz fan. Open thread: Lightning at Black Hawks tonight. Go Bolts! Did my bit for the carbon cycle today, burning bushels of leaves to release more life-giving CO2 & “black carbon”, ie soot, to our planet’s impoverished atmosphere. I hope you (Anthony) are not only enjoying the fishing, but also HEARING the fishing, e.g. the call of the sea birds, the spinning and buzzing of the reel, the whine as your line pays out, the lapping of the waves, the splashing of your prey, the twang of your taught line, and the cheers of your friends as you reel in your catch! Anthony, you need to give us a heads-up when you’re going to be somewhere besides your home stomping grounds. Where are you fishing in the Bay? I’d love to least meet you and buy you a hearty beverage (or twelve) of your choice in thanks for your years of yeoman’s work at getting the truth out! Quite a hit we took today, and yesterday. The last X-class flare was some days ago on Nov 7th, and was not really earthward. The poppies are quite a site. The numbers are staggering (both poppies and casualties). This was once called Armistice Day, the celebration of the end of bloodshed on the 11th day of the 11th month at the 11th hour. Few remember the significance. The WWI generation remembered and gave our clueless Congress a swift kick in the seat of the pants when they changed the date of the holiday some decades ago. The end result was a reverse action. I thought global warming depleted a all the fish stocks. CAGW might cause more fish/less fish, bigger fish/smaller fish, red fish/blue fish, happy fish/sad fish and frozen fish/fried fish. So you found one spurious corellation. BFD. Post charts showing that ∆CO2 causes ∆T, and you will have something. Right now, you’ve got nothin’. What ‘hypothesis’? The man-made global warming conjecture (not a hypothesis, because it is incapable of making any repeated, accurate predictions) is yours. You have the onus of supporting it, and as always, you fail. All you provide is nonsense. Post a measurement of AGW, or get lost. Gordon Ford: I recall you accusing others of not looking too bright. That article from 2012 you link to does not refute the observed data that dbstealey showed you. Observations are not wrong. Your article reference simply confuses you. That you do not understand how CO2 and temperature changes is making you look exactly like a believer rather than a skeptic or someone capable of seeking truth. You are playing games again, in another lame attempt to box me into your invented ‘hypothesis’. The onus is on you, bud. As a skeptic, my job is to tear down the alarmist cult’s conjectures. I have been so successful that it drives you nuts. The only hypothesis conjecture I have discussed is your failed man-made global warming nonsense; I haven’t put forth a formal hypothesis of my own. But as usual, you misdirect, and turn the Scientific Method on it’s head, and try to get skeptics like me to prove a negative… and in general, you act just like a certain sockpuppet who was booted for pretending to be someone else. How many screen names do you use now? You never answer a question, instead, you constantly deflect. Your writing style gives you away. Our Prezidente-come-King apparently signed some sort of emission reduction goal agreement with China today. Does he really think he can implement that without Senate ratification? Seriously, I figure the Chinese simply signed that agreement so Obama can get humiliated by the Senate when it refuses to ratify it. The Chinese understand “losing face.” But Obama has lost face so many times already, all that is left are the ears. Is that man completely stupid (I think the answer is Yes, because he is in utter denial about the thumping he received in the elections too) as to think any EPA rule based on that won’t be court challenged? Without Senate ratification it means nada. Zilch. Zippo. Completely unenforceable if he has the EPA implement those controls on US industry. Nope, it is a win-win all round. -China gets to show good public spirit that will be paid back in some way – good for them. -The US Senate gets to vote this down – good for the USA. The ‘dumb’ is coming from the WH. We (US) are expected to reduce CO2 emissions by about 1 billion tonnes in just over ten years (significant reduction in electrical power availability and petroleum fuel consumption) while China gets to *start* reductions by 2030. If the empiricists are right and the ‘hiatus’ in global temperature increases holds until then, or if temperatures even drop, it will mean over 30 years of growing CO2 emissions *without* temperature increases, by which time even the hysterical press will have figured out that CO2 emissions do not drive global warming. The US would be on the hook for major strategic decreases in its own industrial infrastructure while China will have had another 16 years of unfettered growth – without challenges from the US. The ‘agreement’ (if ratified) is simply a guarantee – a concession that the US will not be competing against China in the free market economy for at least another couple of decades. Surely it won’t be ratified. And Obama knows that. dbstealey points out that he could do a lot through the EPA. But he doesn’t need to. Protecting mountain-tops achieved Size of spoil heaps regulated. Total emissions – not so likely. This was a big win for the Democrat Administration. It doesn’t actually affect anything except shore up their fundraising. The possible problem with the Chinese is that they are shortly to become the number 1 economically (which wasn’t difficult after the U.S. Fed assisted banking collapse/bailout in 2008) and are teaming with Russia and any others that want to come on board to dump the dollar in favor of their currency. There are those who clam that this could cause major dollar deflation on the world market implying another hit in the Western pocketbook. He’s not the sharpest knife in the drawer or else his college transcripts would have been engraved on a lapel pin and handed out by the millions. Instead, his grades are sealed. There are state secrets that are not as well kept as his grades. Yeah at least Bush admitted he had sorry grades (and it was kinda obvious). His school room was the Chicago political machine, he graduated to the Illinois political machine, then he got elected President of the United States. He’s been “lost”, way over his head, ever since. I’d be looking for the best help I could get, rather than appointing friends and political ally’s. I’m sure Hillary and Bill will ensure His legacy. This sentence makes my head hurt. Is this also a scientific explanation for record Antarctic sea ice levels ? Please connect the dots for us. Retirement? Haven’t you heard? The stooge wants to be the next Choo-Choo Pachauri. 3) “Osmosis is the spontaneous net movement of solvent molecules through a partially permeable membrane into a region of higher solute concentration“. There is an abundance of solvent, with no barriers between the saline & brine to prevent spontaneous mixing. So why do brine pools and salt domes persist? There is no force to motivate ‘spontaneous mixing’. The brine is denser than the seawater. Gravity / lack of buoyancy / Archimedes’ Principle apply. There is no semi-permeable membrane (permeable to solvent but not solute) so ‘osmosis’ does not apply. Diffusion is a very slow and short-range process compared to ‘overturning circulation’, which can only occur when a denser fluid lies *above* a less dense fluid. If you pour a liter of dense brine into a container, then gently pour a liter of less dense saline solution on top, do you think they will never mix? And if I make a salt dome in a jar of fresh water, you don’t think it will dissolve, because there is “no force to motivate ‘spontaneous mixing”? What force drives Brownian motion? 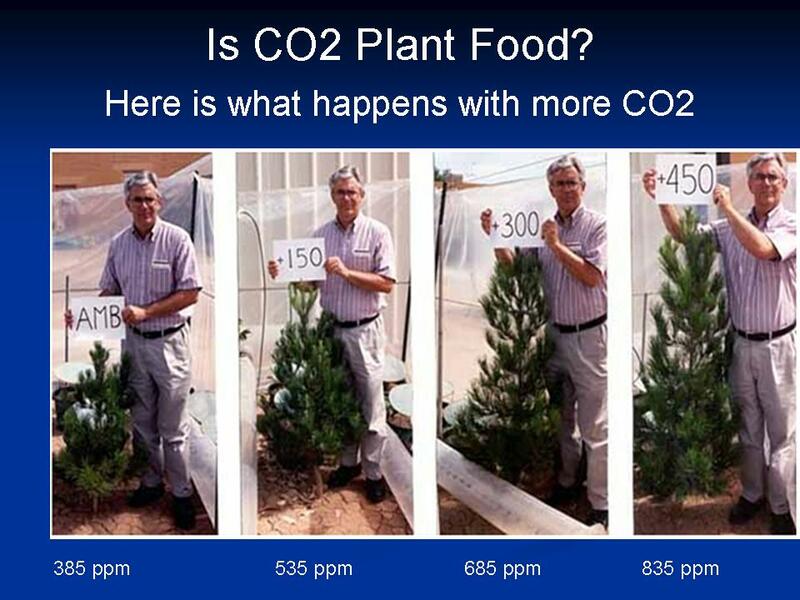 Again, CO2 is GOOD for the global biosphere. History has proven this. My bean field was a testimonial to that this year (cold and rainy as it was). Forget the climate for a day………..Tight Lines and Screaming Reels! So, I’ve figured out why changing Co2 hasn’t reduced night time cooling (ie there is no AGW). I’ve noticed that after the Sun sets, I can see the temp drop by 10F per hour, until the temp get close to what the dew point was (at Sunset), at which time the cooling rate will drop to a few degrees F per hour. The high cooling rate is controlled by Co2 (and ? ), until the “heavy” water vapor develops which then sets the cooling rate for the rest of the night. So, while the Co2 limited cooling rate is the limit first, all a change there (ie a reduction of cooling) just happens a little bit later, at which point the water vapor limits cooling. It is complicated. Radiation is (more or less) a fourth-power-of-temperature (in Kelvin of course) phenomenon, meaning as dirt cools its radiation drops dramatically, but not only that, peak wavelength changes. A “blackbody” presumably radiates on all wavelengths up to its cutoff; but carbon dioxide has a quantum energy state that compels it to radiate, or capture, at a specific wavelength. It is what makes a carbon dioxide laser possible. The implication is that when temperature goes below that which would produce that wavelength, carbon dioxide simply ceases to radiate. It is not a gradual thing, or so it seems to me. In my effort to quantify this effect I found an informative website that goes into this topic in great detail, also explaining the exact mechanism by which water vapor (primarily) and carbon dioxide interact with electromagnetic radiation at various wavelengths. So the rapid drop in temperature is initially just seeking an equilibrium for the night — removing the solar heating of the surface which maintains an *imbalance* between dirt and air. Convection is doubtless the principle cooler of dirt and could easily be tested by placing a box with an IR transparent cover over the dirt, preventing convection, and see if its cooling rate is changed. A remote reading IR thermometer could see through the cover (Saran wrap maybe?). This is probably the two rates of cooling that you observe, with dew point being a third. I’m seriously thinking about getting one of those imaging thermometers such as Fluke VT04. You can see it in operation on a series of videos made by Anthony Watts, see above under Climate FAIL Files, then Al Gore and Bill Nye. The imaging thermometer clearly shows that glass is opaque to longwave infrared and thus the energy from the heat lamp never reaches the CO2 in the jar. At night, it will “see” the source of longwave infrared. and check out how cold Siberia is right now… seems extreme for mid-november, but “maybe that’s from that global warming thing”. Remember the Italian scientists who were convicted of manslaughter for not predicting an earthquake? Thank goodness… but the fact that people in power are this ignorant such that there was even a case is pretty frightening. Anthony goes fishing but the alarmists tell the whoppers! – – two dozen state lawmakers are flying to luxury resorts in Hawaii for conferences subsidized and attended by interests that lobby the Legislature: oil companies, public employee unions, drug and tobacco firms, and others… Ethics advocates say it is wrong for corporate executives to pick up the tab so they can schmooze with lawmakers out of public view… several state senators were hit with criminal charges this year, two of them involving allegations of corruption. O to be elected royalty!